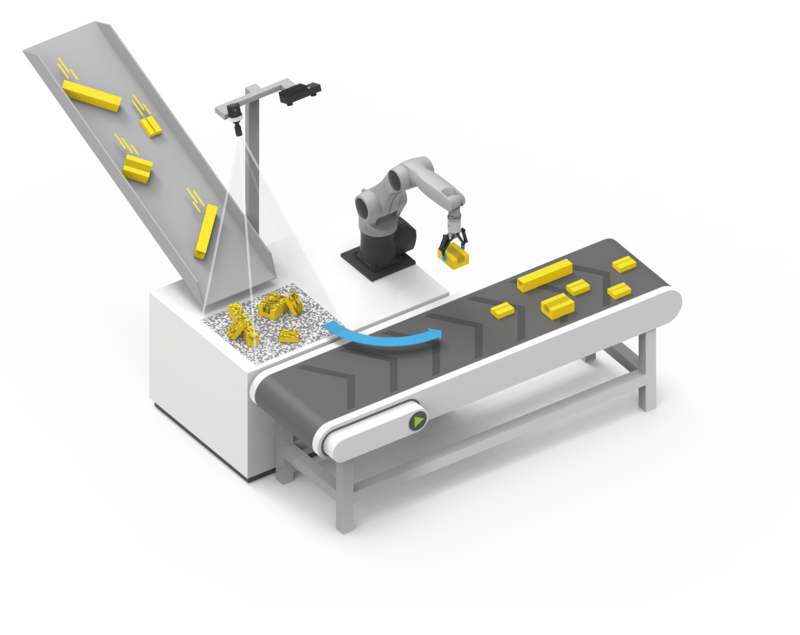 The rc_reason BoxPick Module is an optional on-board component of the rc_visard, which provides a perception solution for robotic pick-and-place applications such as de-/palletizing and sorting of packets. 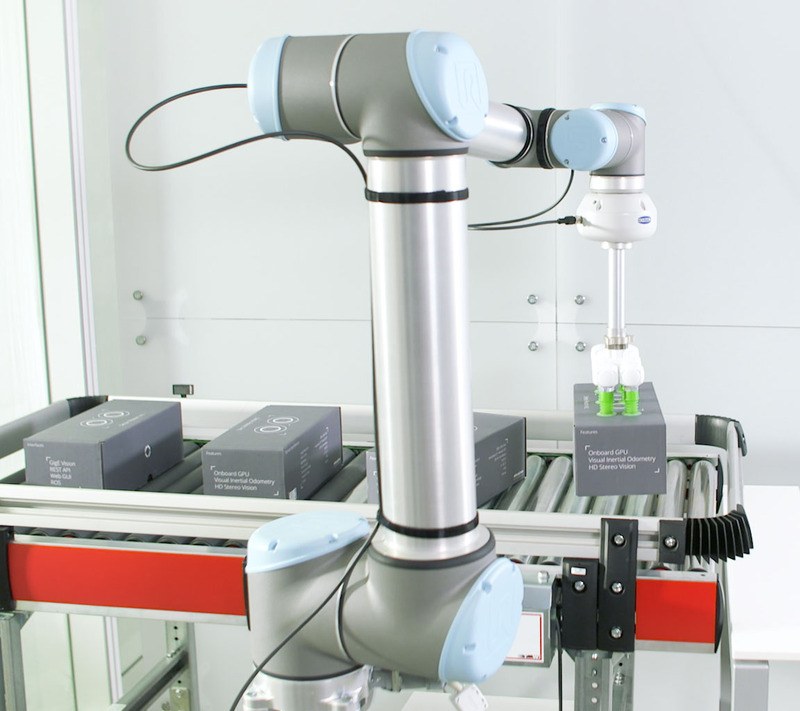 It allows the detection of stationary items with rectangular surfaces and the determination of their position, orientation and size for picking. The rc_reason BoxPick is an optional software component that can be easily installed on-board the rc_visard and operated through the sensor’s standard interface. 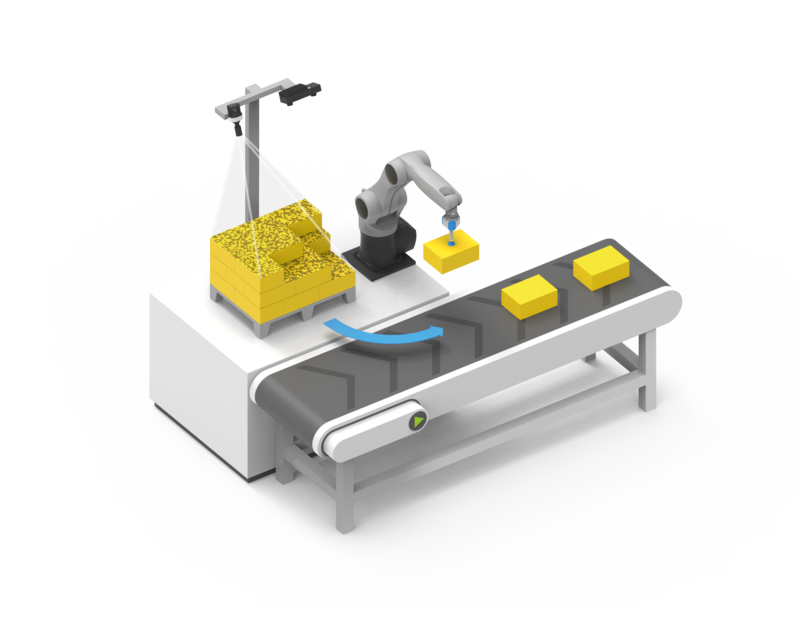 Equipped with the BoxPick Module, the rc_visard detects rectangular surfaces over pre-defined size ranges and optionally computes potential grasp points. 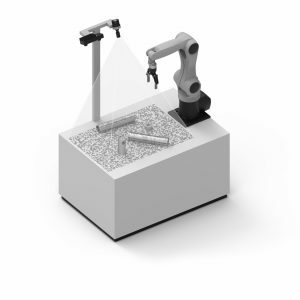 It allows the detection of the position, the orientation and the size of the stationary objects and enables the robot to place the objects in a defined position. 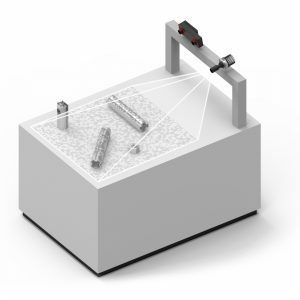 The use of the RandomDot Projector is mandatory in order to support all kind of surfaces, especially of packets whose natural scene texture is insufficient. 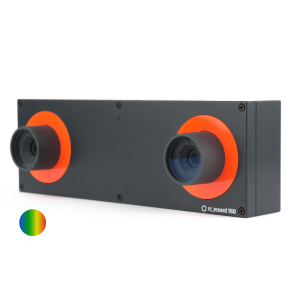 The ExposureActiveAlternate mode of the Projector sets the output high during the exposure time for every image, so that the quality of the depth image is improved for every image. 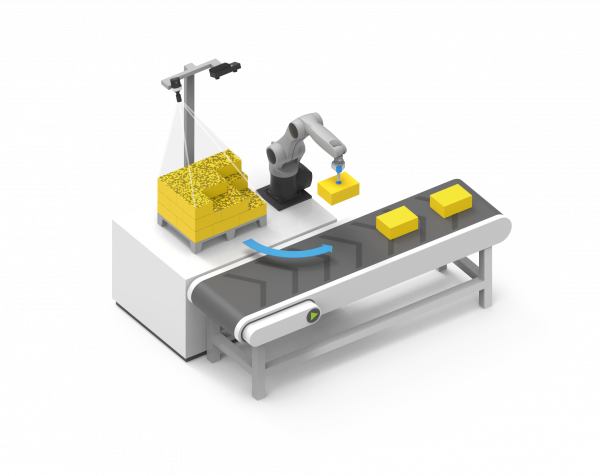 The BoxPick Module enables robots to pick unsorted and unordered packets out of a bin and palletize these items in a defined oriented way. 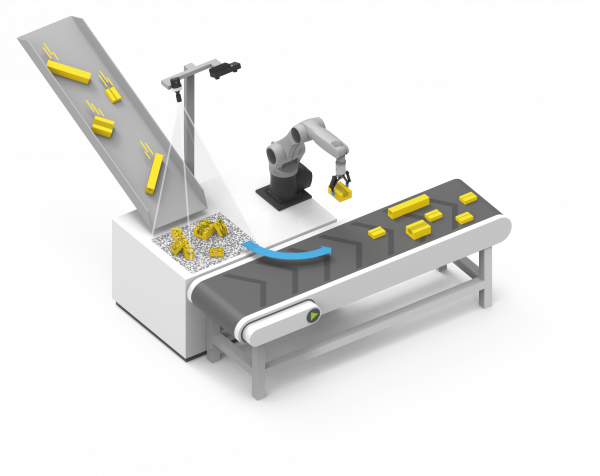 It can also be used for de-palletizing packets to a conveyor belt, e.g. for cross-belt sorters. 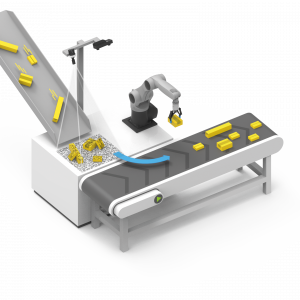 Note that the BoxPick Module does currently not automatically deliver collision-free grasp points for two-finger grippers when objects are stacked side-by-side with no gaps. 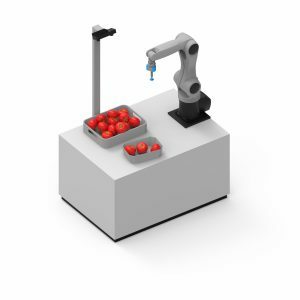 Such an application will require individual programming on the robot side. 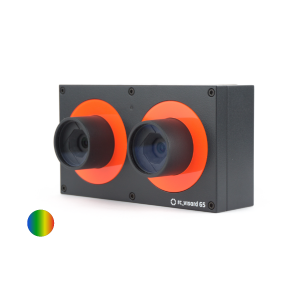 Please contact us to discuss details!